Enjoy a multi-award winning eco cruise on the beautiful Brunswick River including Morning Tea and an entertaining commentary. 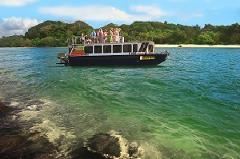 Relax at the end of the day as you cruise the beautiful Brunswick River on a multi-award winning eco cruise. Includes a complimentary drink and delicious tapas platter including seasonal produce from our finest local producers. 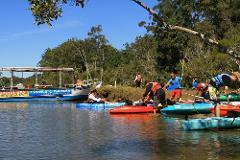 Have fun on this unique tour including a short cruise, guided kayak tour and trying SUP. Includes a light lunch, snacks and cold drinks. Available Oct to Mar Treat yourself to a unique Byron Bay experience. 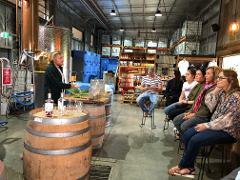 A rainforest tour and Brookie's Gin tasting at Cape Byron Distillery followed by an Eco Rainforest Sunset Cruise on the beautiful Brunswick River. Transfers included.